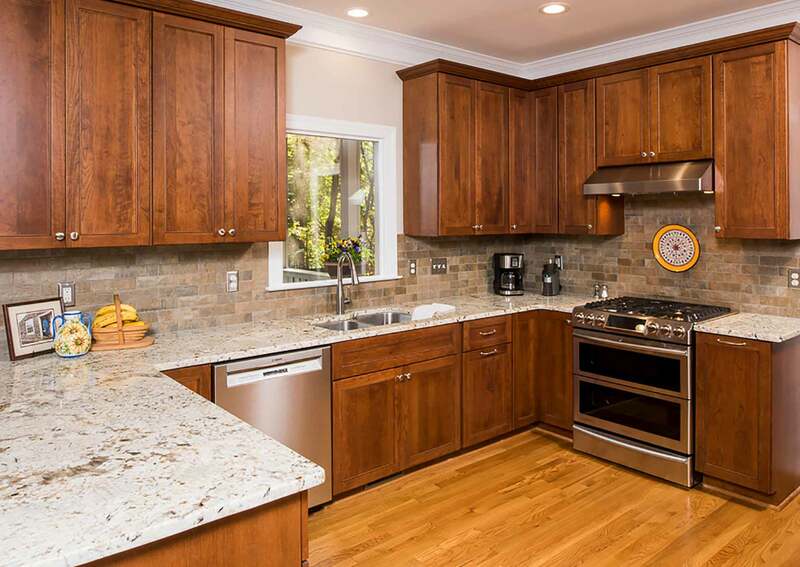 The kitchen is one of the most important rooms in the home, and the most-used room during waking hours. It’s also often the social center of a home, where family and friends gather, meals are prepared and sometimes enjoyed, and homework gets done. 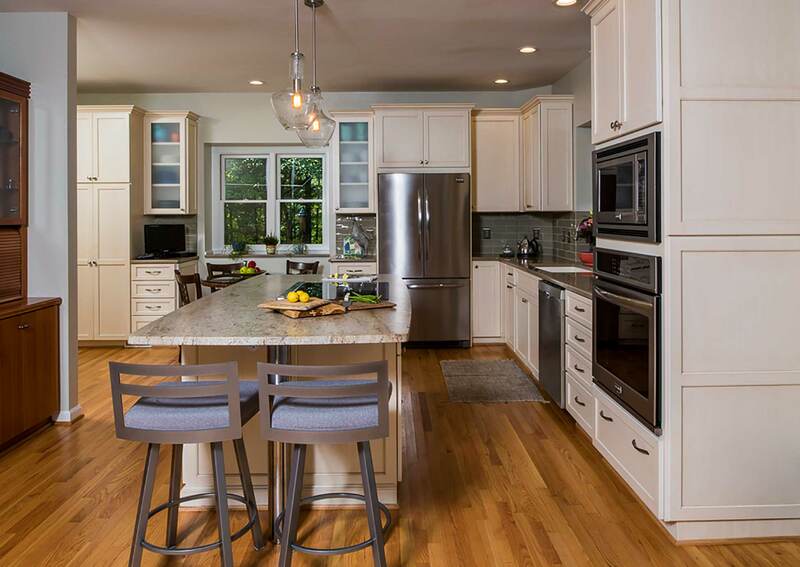 Keeping the kitchen updated in terms of design makes a difference to both your family’s well-being and to the resale value of the home. 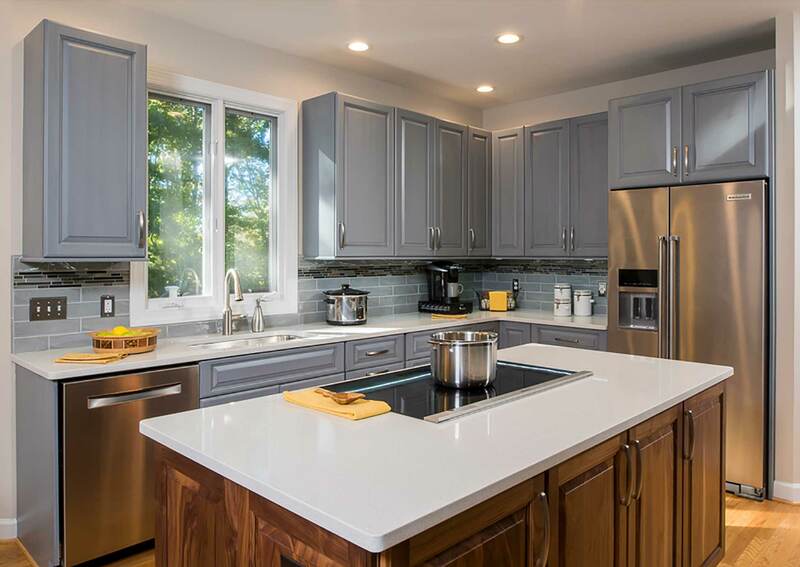 A kitchen remodel is one of the highest-performing home renovation projects, according to Remodeling Magazine’s 2018 Cost vs. Value Report. Most people choose to remodel a kitchen when they reach the point where they hate their old one. 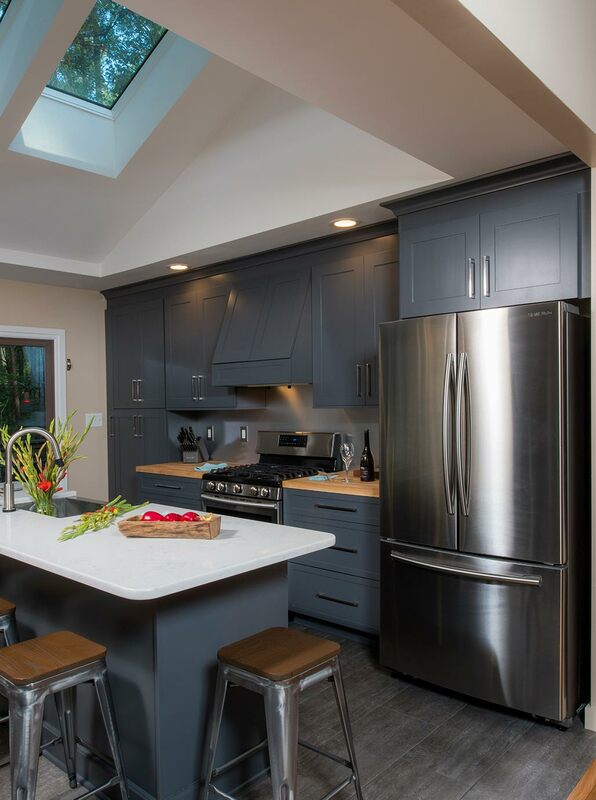 The 2017 Houzz Kitchen Trends Study found 43% of all kitchen renovations were a result of this #1 reason. Day after day, you’re walking into the kitchen and feeling frustrated by its layout or irritated by the color palette. 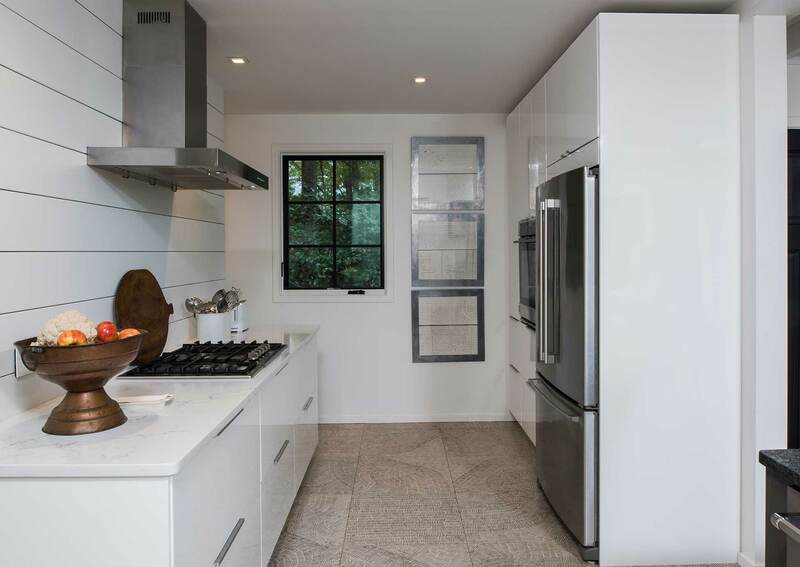 Overall, only 24% of kitchen renovation projects are commissioned when the kitchen is in a sad state of repair. Generally, Americans love their kitchens too much to let them get to this point. Your kitchen truly is the heart of your home. It’s where friends gather while holiday feasts are created. Where kids do their homework as cookies bake, and where you can relax and enjoy a cup of coffee on a perfect Sunday morning. If the heart of your home is looking a little dated, and you’re less relaxed and inspired than embarrassed and frustrated, then it’s time for a change. 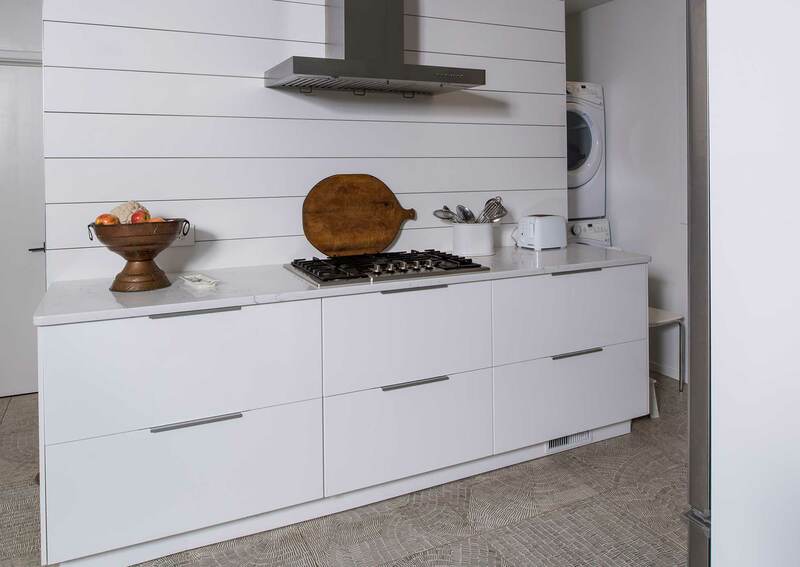 Cederberg Kitchens & Renovations specializes in just this kind of change, and our kitchen design experts would love to help you create the kitchen of your dreams. How many people live in your home most of the time? It’s important to decide whether you’re remodeling for the present or for the future, for weekdays or for weekends. If half of your family is only home for major holidays, you’re not creating a kitchen for their use. Who typically does the cooking, and how do you/they like to work? How tall is the person cooking, and are they left- or right-handed? How often does “real” cooking take place, as opposed to preparing quick meals, salads, sandwiches and drinks? How much storage space do you need for groceries, how often do you shop and what quantities do you need to store? 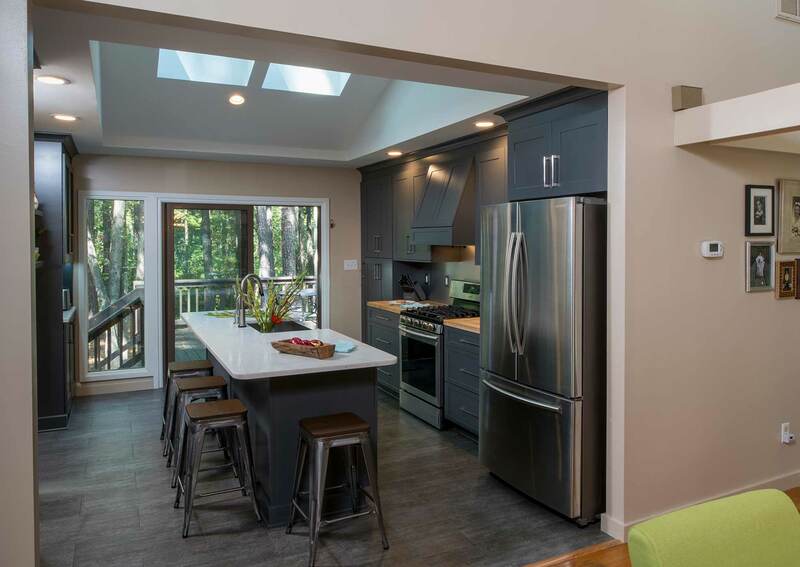 If your home is older, with a claustrophobic kitchen that’s cut off from everything else, the first step in creating a kitchen design that meets your needs may be to make structural changes. 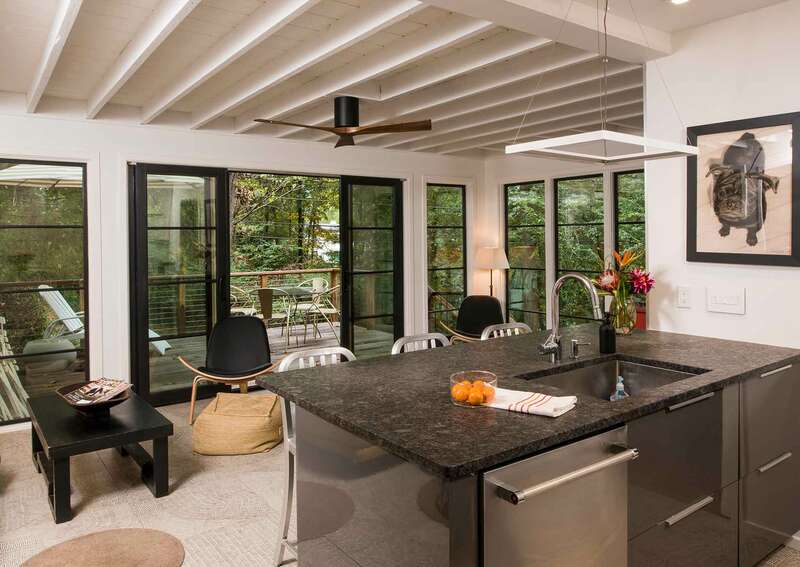 Whether it’s just removing a non-load bearing wall or installing a new beam, columns for point loads or anything else, our team is happy to discuss your open-concept options. After our conversation with you, we’ll develop a design we hope you’ll love. 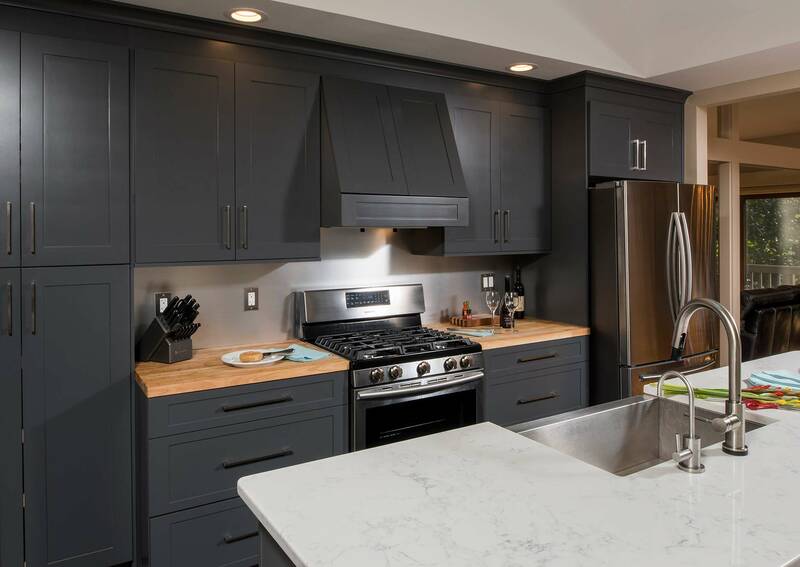 Our recommendations consider account everything we learned from you about how you want your kitchen to look, feel and function, and we consider a wide range of options for the style, colors, materials and equipment. Your kitchen should reflect your style. 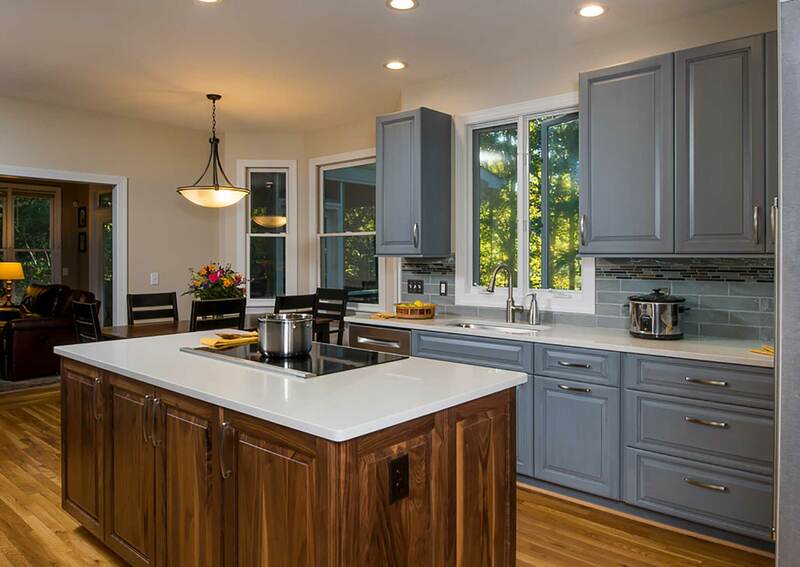 Color choices, kitchen cabinets, backsplash, lighting design, kitchen countertops and more all combine in a unique reflection of your personality. We’ll suggest countertops, flooring, window shapes and sizes, floor plans and layouts, and then we’ll listen to your feedback and incorporate your changes into the design. Once you have a complete kitchen design package, it’s time to decide whether you’ll use us to implement your dream. 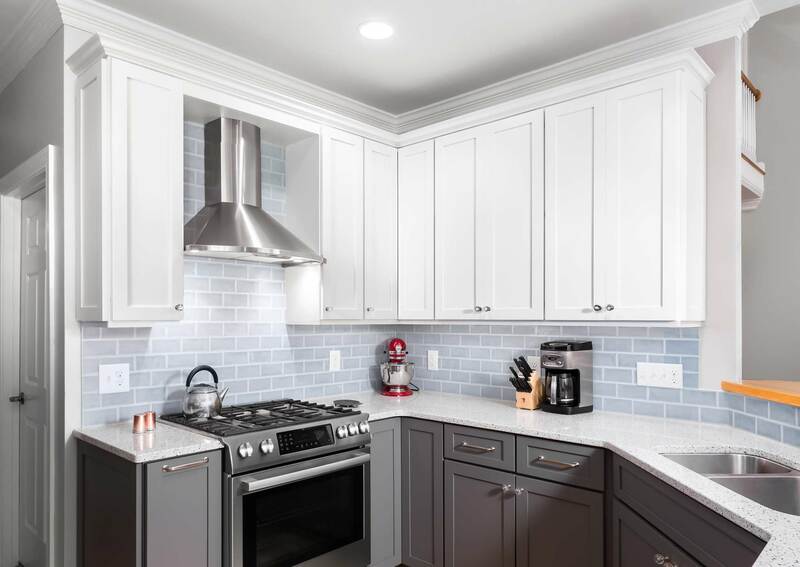 We go to great lengths to find out exactly what that style is, and from minimalist or modern farmhouse, we make sure it’s the dominant theme in your new kitchen design. 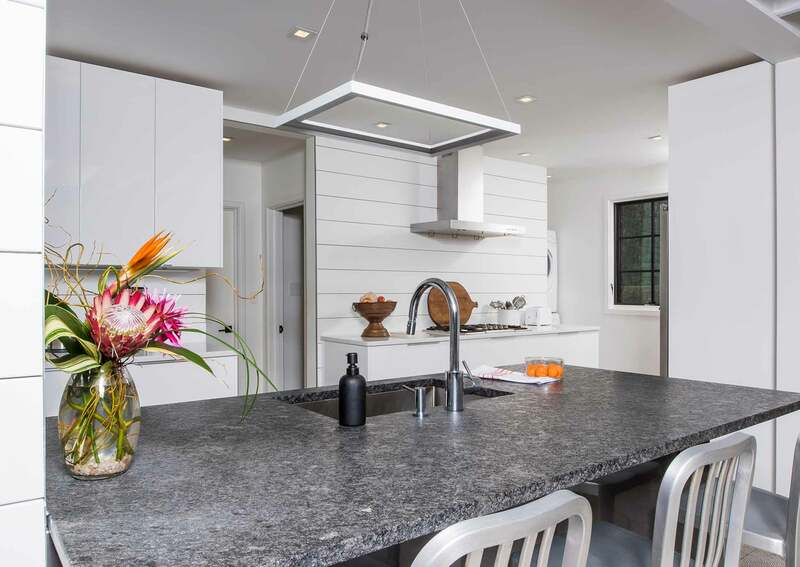 Natural stone, quartz, concrete or butcher block. Maybe a combination of two? 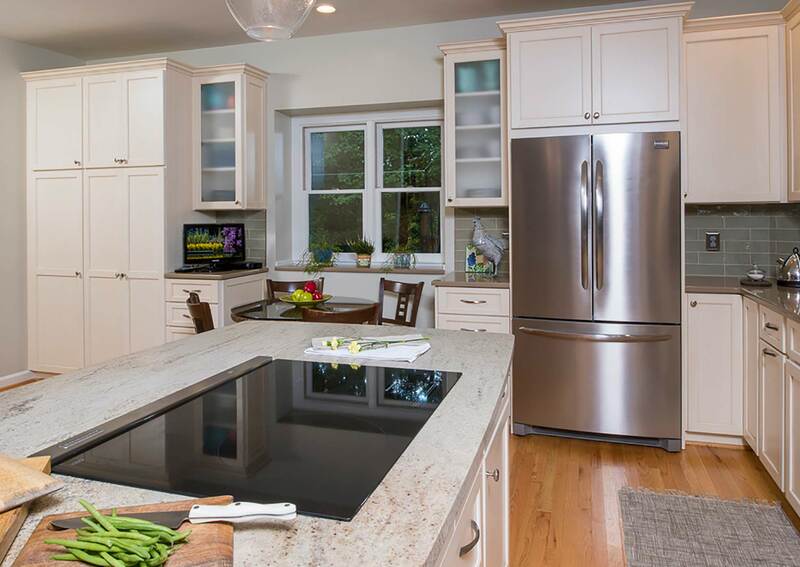 One stone on the countertop, and another on the island? 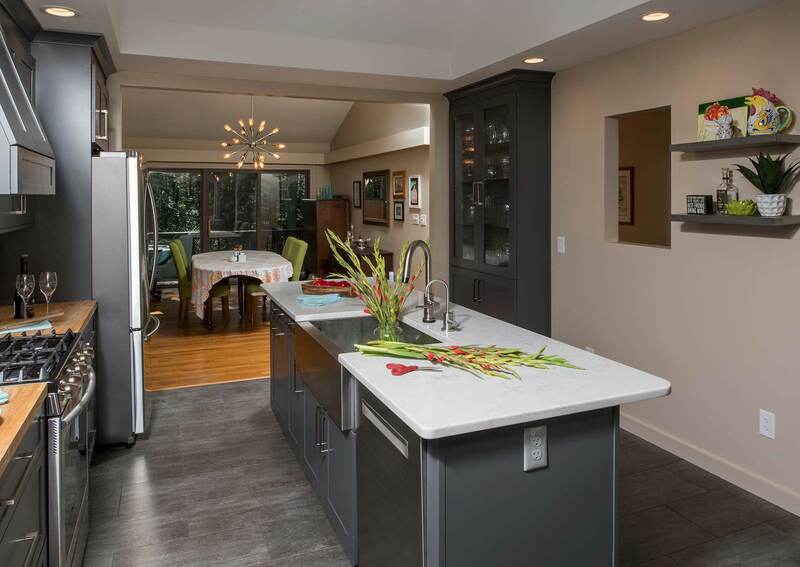 There’s a lot to think about when you choose kitchen countertops, and we’re here to help. 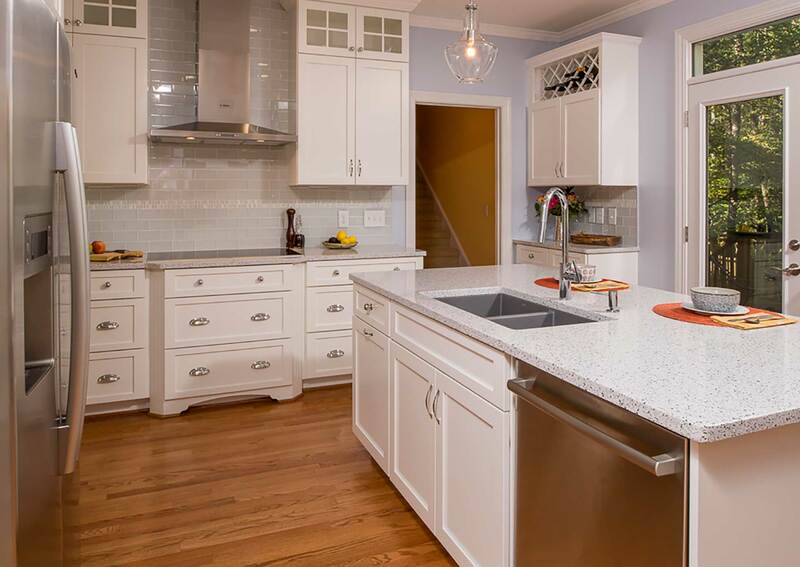 We’ll help you to choose the right countertops for your budget and design style, that combine beauty and durability perfectly. We’ll source the perfect slab, and make sure the measurements are precise and checked twice. Countertops are an investment. Let’s get it right! 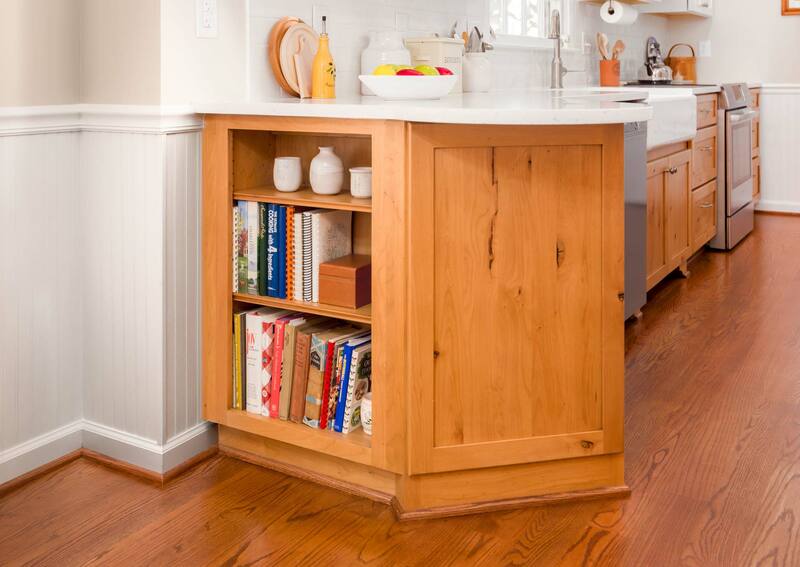 Kitchen cabinets are much more than just somewhere to store items you don’t want to clutter up the counter. They’re an integral part of your kitchen design, and a huge part of the overall feeling and style of the room. 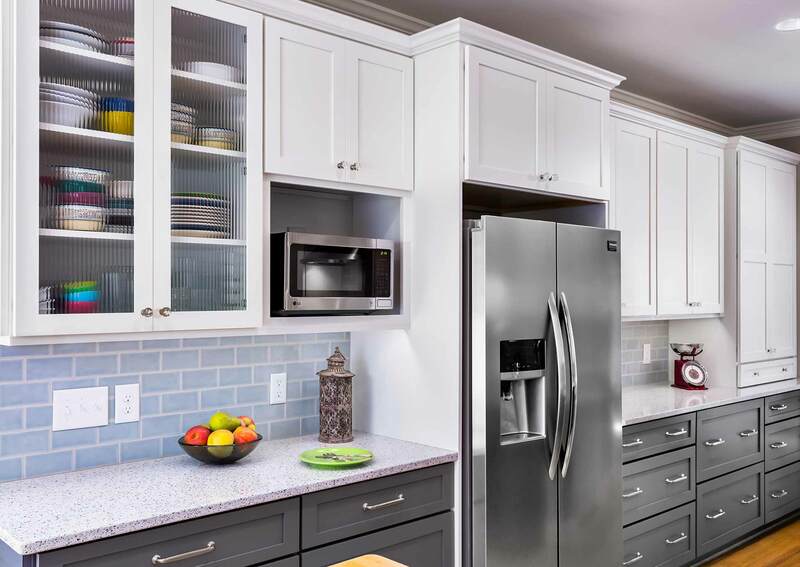 Whether you choose sleek, modern panel-front cabinets with a high-gloss finish, or a classic Shaker style in a muted tone, the cabinets set the tone for the rest of the room. 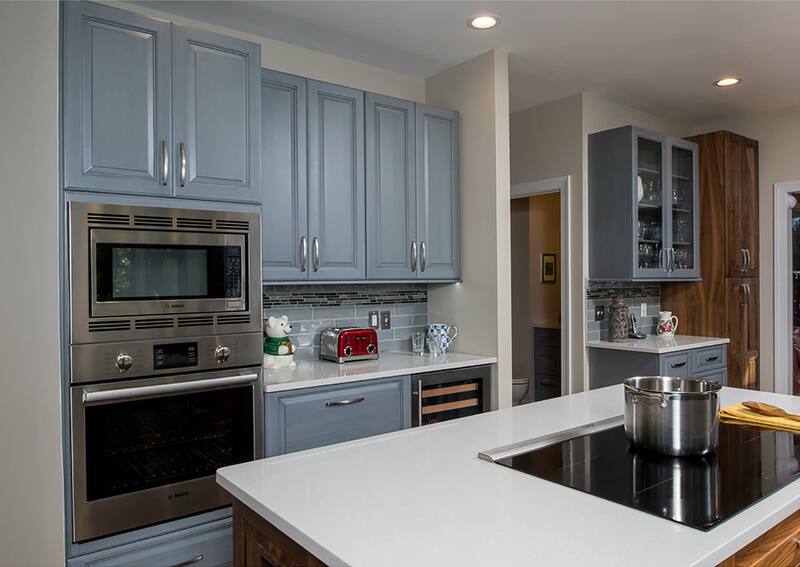 We work with our clients to ensure the cabinets they choose are an exact style match, and that they’re the highest quality possible. Because you want your kitchen to have style and substance. 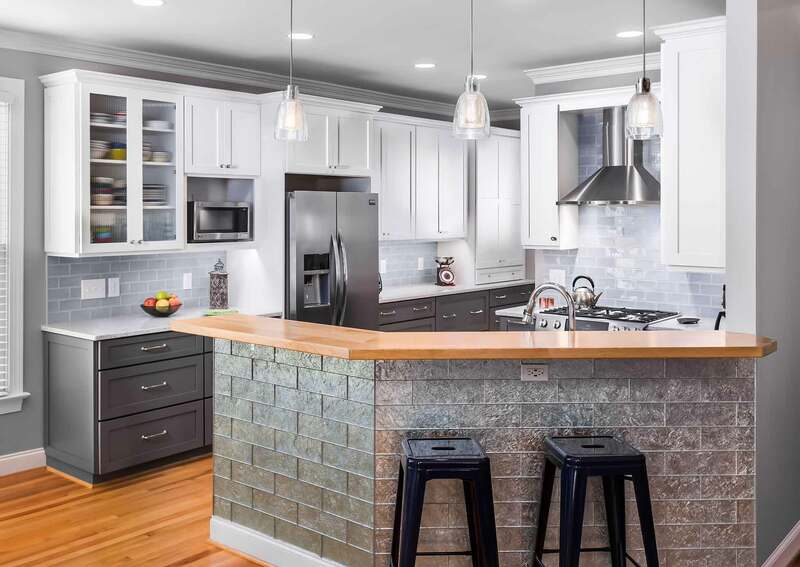 Layout options are carefully chosen to maximize the flow and function of your kitchen, and when your design plan is finalized, you should have a room that truly will be the hub of your home. the exact appliances you need for your aesthetic and cooking style. 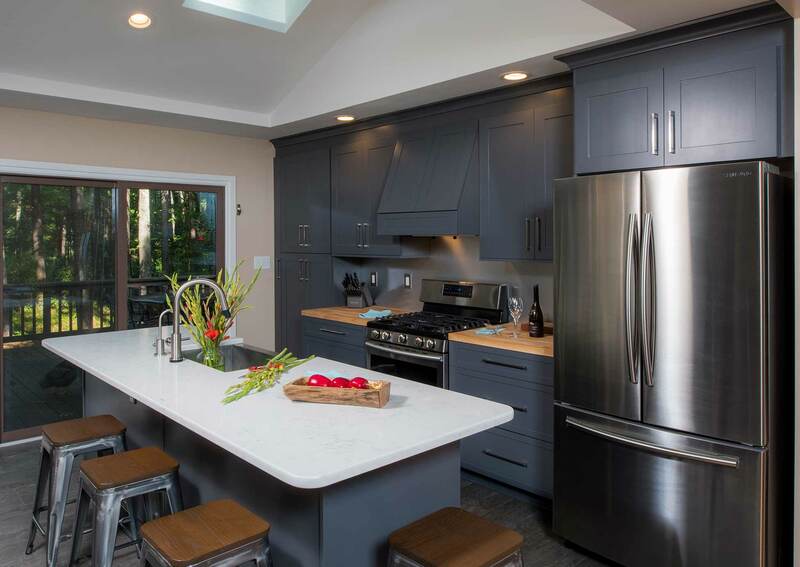 Everything matters when it comes to creating your dream kitchen. 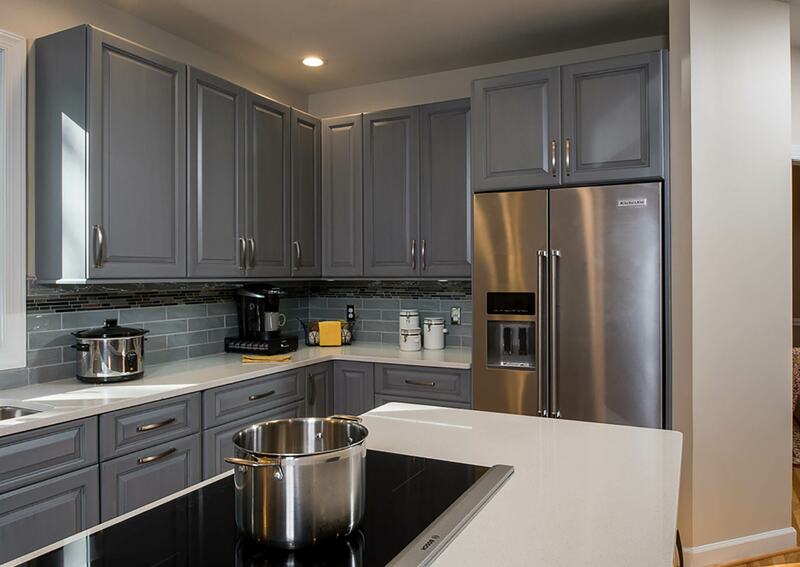 No matter what your preferred style is, we can help you develop a kitchen design that not only fits your family’s needs, but also offers timeless style. 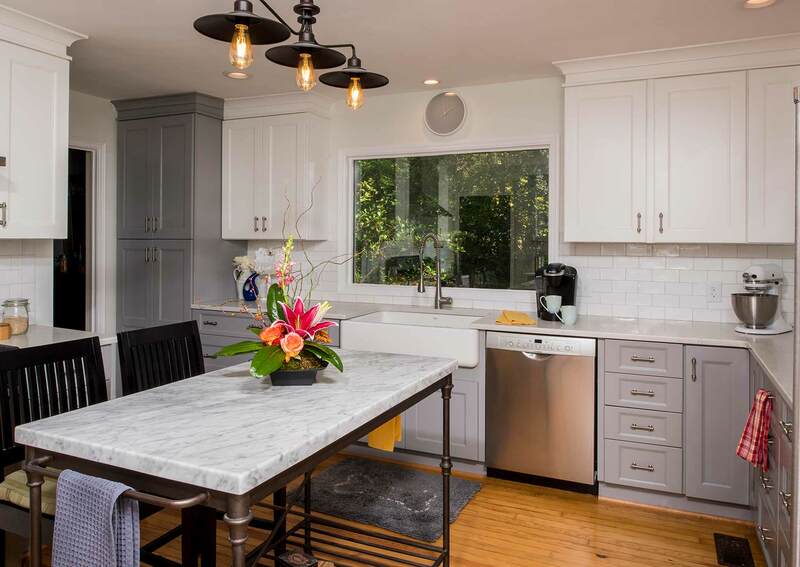 A kitchen remodel is an investment, and you want to be sure the result you get is one you can not only live with for many years to come, but that you will fall in love with.